The headboard is pretty much done. The fabric is linen with little hints of black, brown, and gold. From a distance, it just looks brown, which is fine by me. The project was not that bad. It would have been easier if we had not decided to install 8 canned lights on Sunday afternoon rather than simply completing the headboard project, but whatever. We used plywood, batting, 2 inch foam, and a few 2×6 pieces of wood. 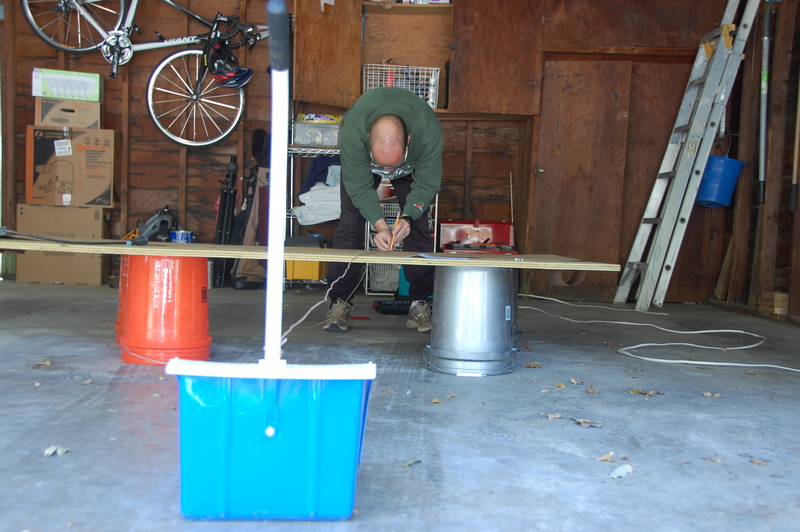 There are lots of sites on the internet for DIY on this project. We studied these sites and then hit the jackpot when a veteran headboard maker visited us on Saturday. First, we found the shape of the headboard we desired. This link, from Decor Happy, gave us 50 different options. We used this one as our model, minus the border. Scott rigged a string connected to our mega-sized dust pan to get the arch right. 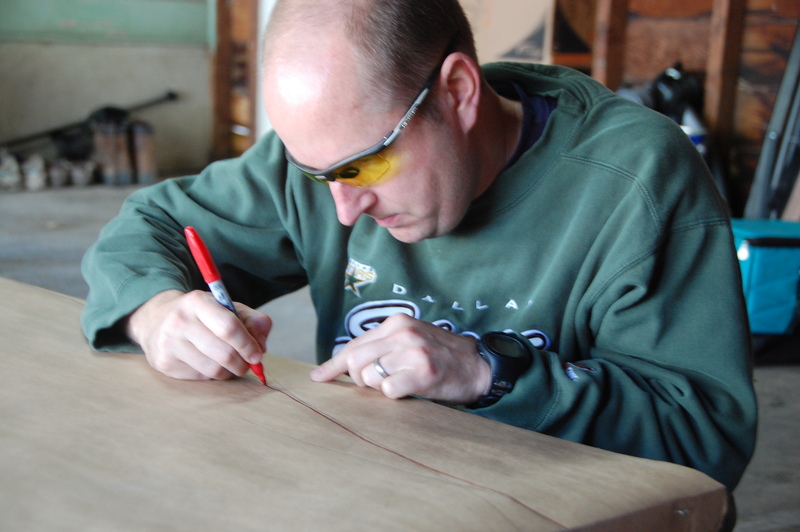 We then cut the plywood covered in butcher paper to use as a template to mark the wood. We only did this on one side, and then flipped the template over for a mirror image on the other side. 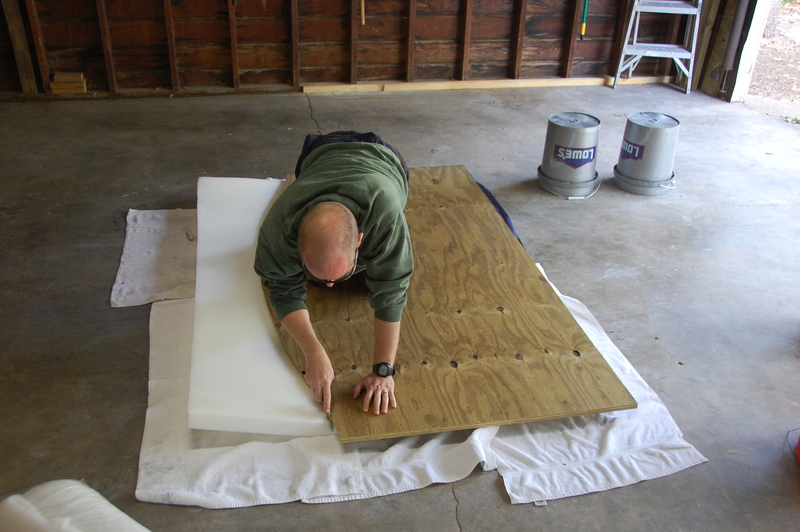 Next, we glued foam onto the cut plywood and flipped the plywood over to cut the foam. I did not get a picture of the next two steps–covering the board in batting and then the fabric, but Debra sure was a huge helper through the whole process. She helped us get the fabric pulled tight, but not too tight. She very gently made suggestions when we needed them! We got the headboard into our bedroom and Scott immediately started freaking out. 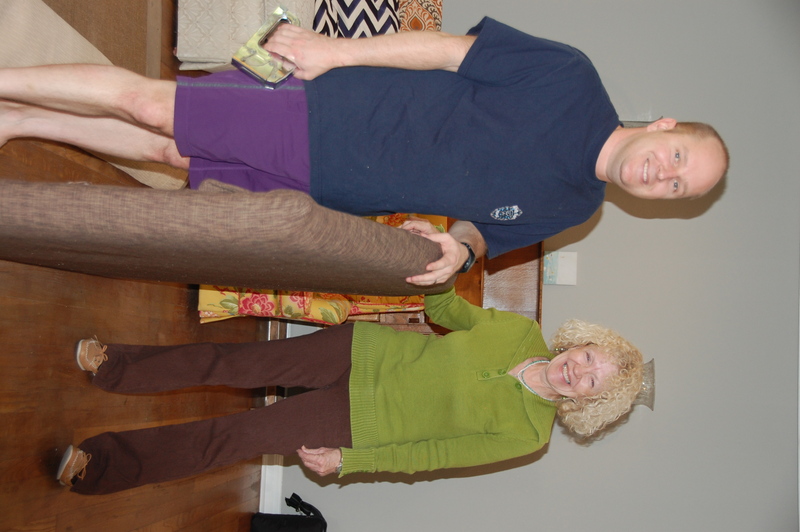 He thought it was “massive,” and “way too big!” But once we put the pillows on it, I thought it looked great. We did have one small issue of securing the headboard to the bed. 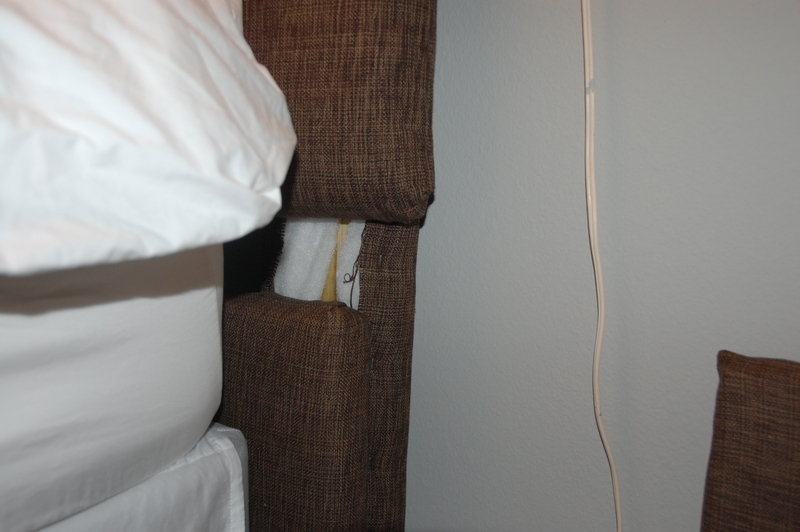 The legs of the headboard were too far from the bed frame to attach them. We had to buy an additional piece of wood, and cover it, which you see closest to the mattress in this picture. We will then bring the headboard down about 4 inches to meet it. This will appease Scott a bit, who thinks it is too big. Due to the light project which took over our entire Sunday (until about 10:30 pm which is WAY past our bedtime! 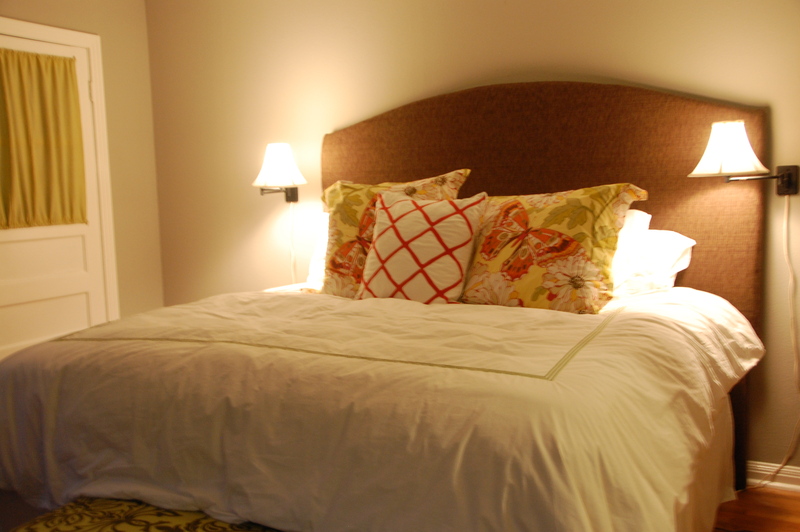 ), the headboard is not yet attached to the bed. But by the end of this week, I bet it will be. And then we can officially check this project off of our list. Looks great! I know Deborah somehow, I met her before somewhere and I can’t remember where? how do you know her?